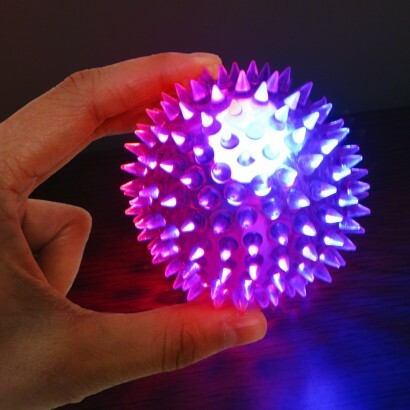 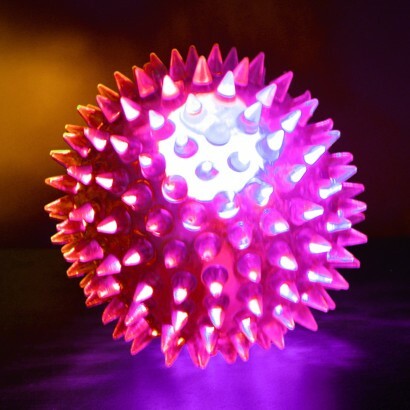 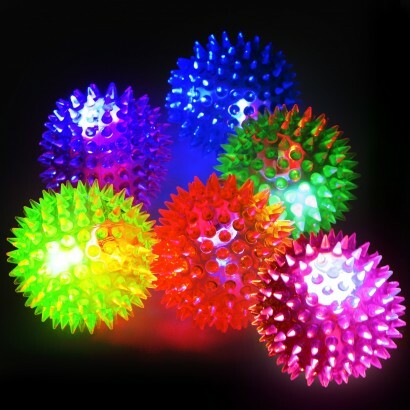 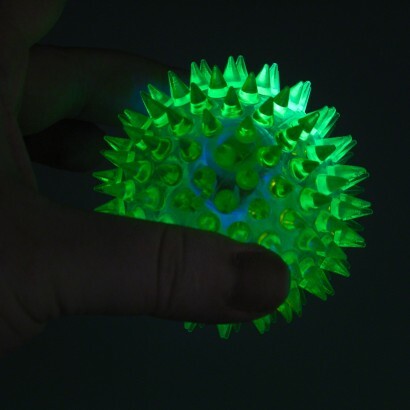 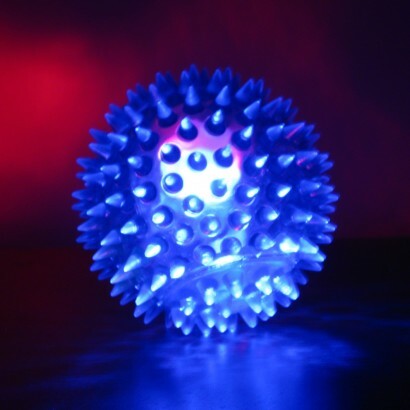 Soft, squidgy and oh so fun, this spiky balls come in super bright vibrant neon colours and are lit with flashing LEDs! 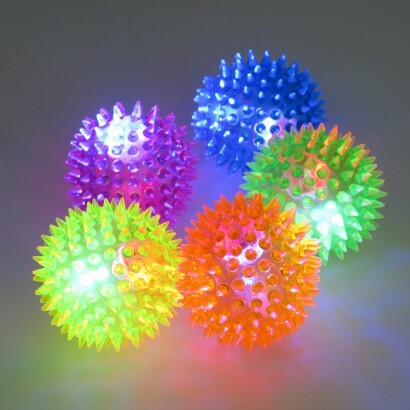 Simply bounce to activate, and each ball will come to life with flashing red and blue lights for ten seconds at a time. 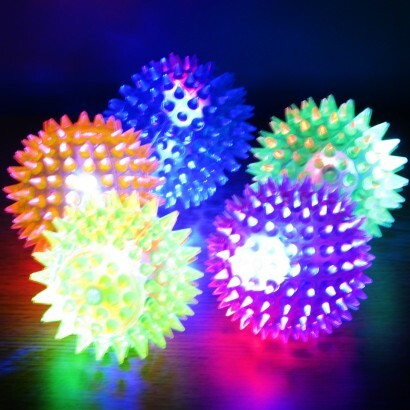 Bounce, squeeze and roll these highly tactile balls for endless sensory play.